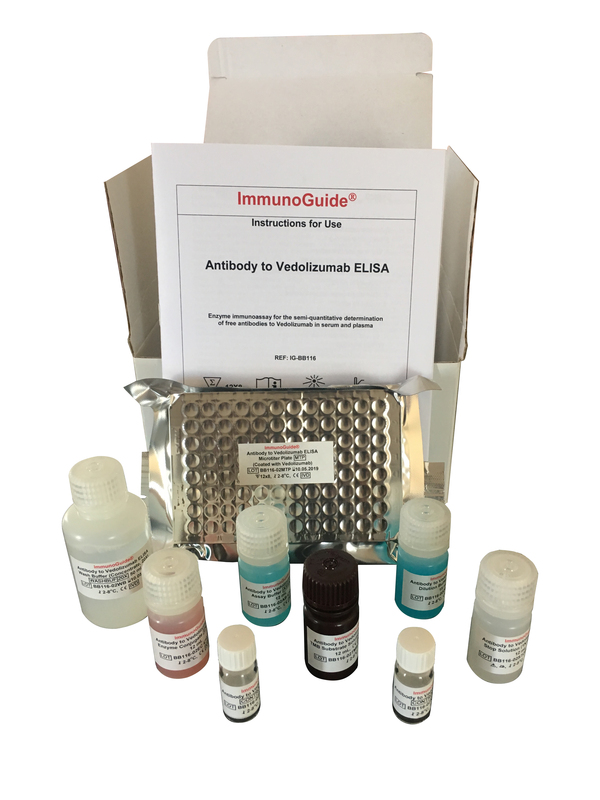 Enzyme immunoassay for the semi-quantitative determination of free antibodies to Vedolizumab (Entyvio®) in serum and plasma. 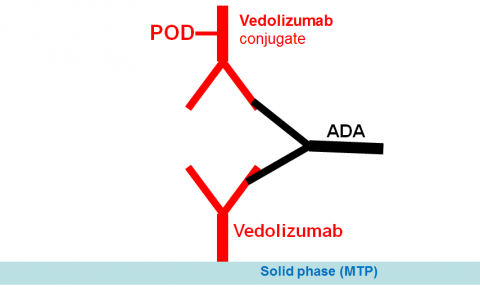 The solid phase (MTP) is coated by the drug Vedolizumab. Due to the assay design this test only measures the free antibodies which are not bound to Vedolizumab. Results are expressed in AU (arbitrary units).